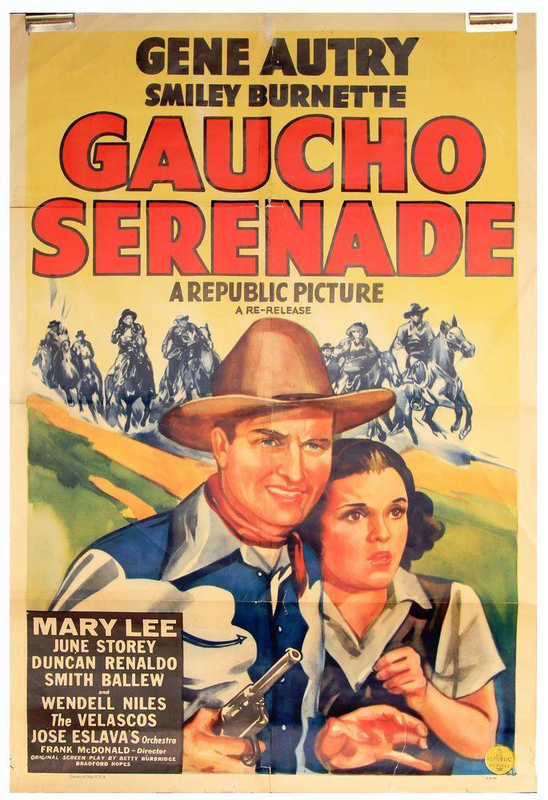 In September, we celebrate Gene Autry‘s birthday by viewing Gaucho Serenade (Republic, 1940) starring Gene Autry, Smiley Burnette, June Storey, Mary Lee and Duncan Renaldo. Directed by Frank McDonald. Gene met “Frog” in 1933, and, for the most part, he became Gene’s sidekick for the entire time. Frog wrote many hit songs for Gene, and, although there were a number of singing cowboys, Gene became the most popular of them all. During the bleak War Years, the grand finale of Gene’s movies usually consisted of the entire cast singing a song and riding off into the sunset. . . the classic “good has overcome evil.” You always felt better when you left the theater. 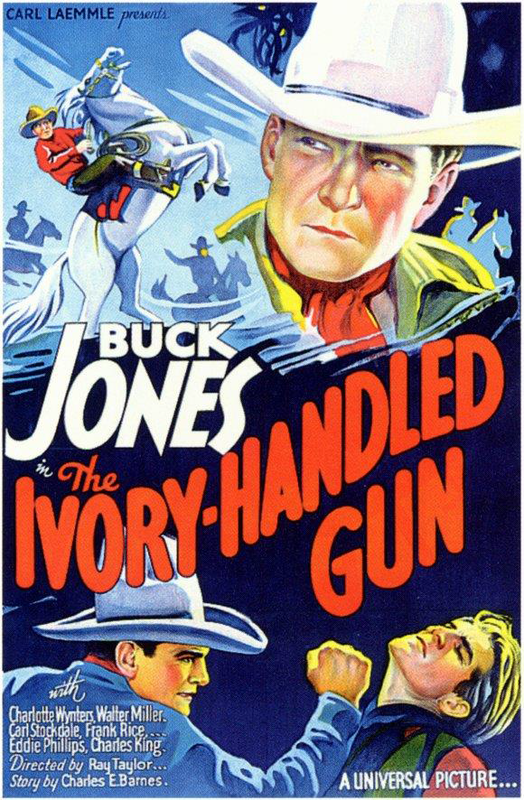 Also on the bill is The Ivory-Handled Gun (Universal, 1935) starring Buck Jones, Charlotte Wynters, Walter Miller and Carl Stockdale. Directed by Ray Taylor. And don’t forget Chapter 6 “Poison Peril” from the serial The Batman (Columbia, 1943) Starring Lewis Wilson, Douglas Croft, J. Carrol Naish and Shirley Patterson. Directed by Lambert Hillyer.